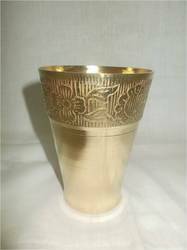 Fine Decorative Brass Wine Glass Available In Different Designs & Sizes. We are specialized in offering Decorative Brass Glass. 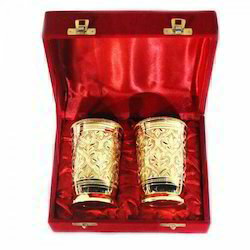 We are manufacturer and exporter of a range of Brass Glasses in Moradabad, Uttar Pradesh, India. These are manufactured using first grade metal in flawless finishing.Available in economical market price. Being a customer oriented enterprise, we are engaged in providing a wide array of Brass Glass.